1. Able to have footers which we can change and also confirm for all pages (ie similar to banner). 2. Ability to confirm a page title for all pages if one wishes. As if one decides not to have a page title shown on the header in the beginning of setting up site, and then later wishes to do so, we have to go thru all pages to do this. Would be good to just tick a box 'apply to all pages'. thinking this would be nice? Thanks for the idea. At the moment there is no way to do these with Yola. You can only apply backgrounds and banners to all pages. As far as I know we don't have anything like this in our immediate plans but I will put the idea forward and see what we can come up with. Thanks again for your feedback. We really appreciate it. yeah, that would save a million hours - i would like to have the feature apply to all pages, or better yet, if we could have a check list, apply to certain pages. That would be great!!!!! Jen, I like the footer idea. I've made one and inserted it into each page. By keeping a copy of the html on my computer, it's quick to change. But yeah, if I had 100 pages, it would take some serious time to change it on each page. As far as the page title, for SEO purposes, you don't want the same one on each page. It's far better to have a page named for the content. 1. Click on the page heading. 3. Change "black" to what color you want. And "arial" to what font you want and "6" to what size you want. Also, Put in your heading text where it says "YOUR HEADING TEXT"
5. And, the text color and size should be changed! 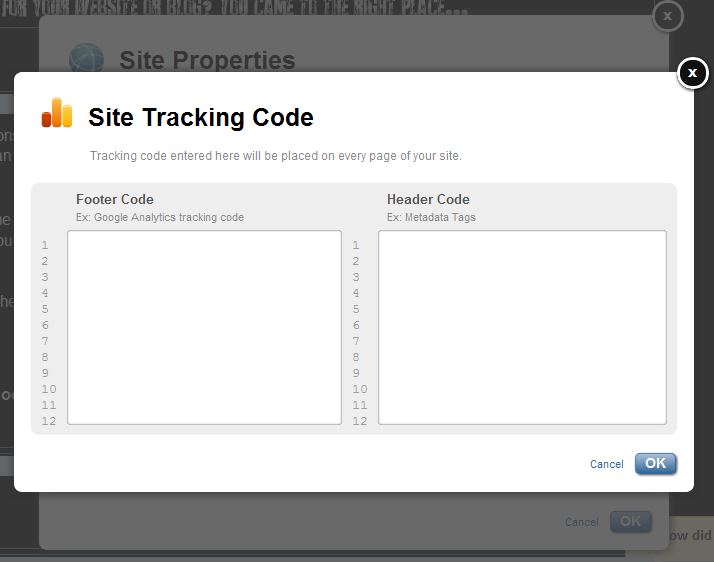 please add the facility to apply footer through out website, very handy especially on larger websites! Hi Ceri - thanks for your comment. Unfortunately we can't tell you when something like this would be available. Hi this feed is old and i was wondering if this is now possible, maybe by using css? Your Website Name. All Rights Reserved. Hey guys! That code I posted above actually works! It puts it directly in the footer. 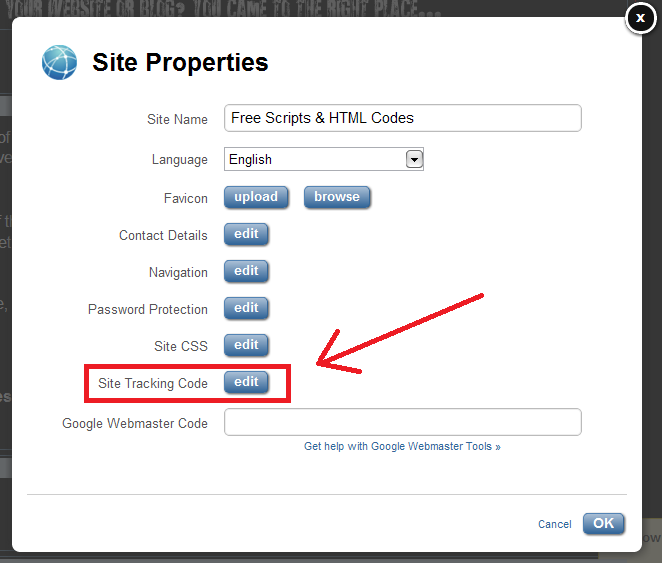 Follow those exact steps and paste in that code so it will center it and format it correctly. And it updates on all of the pages too! All at once! Isn't that great? How does it work if you wish to place a header example, you logo on every page? Please do not include the <!-- and -->. Please try this on a test site first. What exactly would you like to apply to all pages? The Page Heading editor hasn't changed. If you hover over the Page Heading area, you will be able to edit your Page Heading in the Page Heading Editor as usual. At the bottom of the editor dialogue box you will find an option to apply the same Page Heading to all pages.